The 2019 SAG Award nominations were announced this morning, and as seen in the past, it often predicts the Oscar contenders. The awards highlight the best in TV and movies, awarding individual and ensemble performances in drama and comedy shows, as well as in a motion picture. 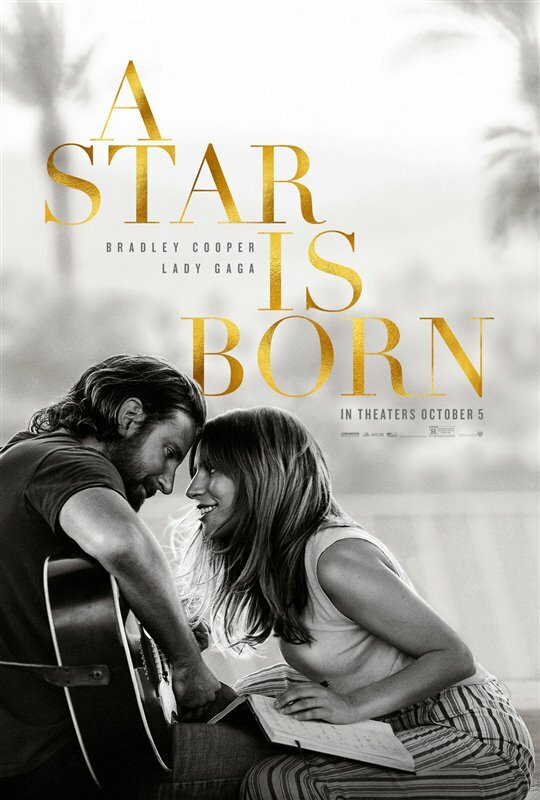 The highly buzzed-about film A Star is Born earned four nominations, including an outstanding performance by a cast in a motion picture nod, as well as outstanding performances in a lead role for Lady Gaga and Bradley Cooper, while Sam Elliott received a supporting actor nod. Also competing for outstanding performance by a cast in a motion picture are Black Panther, Crazy Rich Asians, BlacKkKlansman and Bohemian Rhapsody. The Favourite earned three nods: Olivia Colman for lead role and Emma Stone and Rachel Weisz in supporting roles. Emma also received an outstanding performance nod for her role in the Netflix TV series Manaic. Emily Blunt earned two nods, in supporting and leading actress categories for her performances in A Quiet Place and Mary Poppins Returns, respectively. Leading the TV category was Netflix’s Ozark and Amazon’s Prime Video’s The Marvelous Mrs. Maisel, with both shows earning four nominations each. Ozark‘s nods include Jason Bateman for outstanding performance in a drama series, Julia Garner and Laura Linney both competing for outstanding performance by a female actor in a drama series and a final nod to the entire cast with outstanding performance by an ensemble in a drama series. Click here to watch our interview with Jason Bateman, Laura Linney and Julia Garner. The Marvelous Mrs. Maisel‘s nods include outstanding performance by an ensemble in a comedy series, Rachel Brosnahan and Alex Borstein both competing for outstanding performance by a female actor in a comedy series or movie and Tony Shalhoub for outstanding Performance by a male actor in a comedy series. Such a shame that all these tv shows are on specialty channels and nothing on regular cable so that more people could be aware of the shows. There goes another awards ceremony that I won’t be watching. Such a shame that people with basic cable gripe about the shows on Speciality channels, which are very affordable these days. LOVE The Star is Born and OZARK. Hope they win! John Krasinski’s name is spelled incorrectly. The 2018 SAG Award nominations are in! New on DVD – Escape Room, Destroyer and more!